I love this series so much so I decided to make a wallpaper from one of the character in the series. His not my fav character though ^^ but I just chose him. Anyway, this time I tried to make different style this time from my first and second wallpaper. Nice wall! *fav*..thanks for sharing! 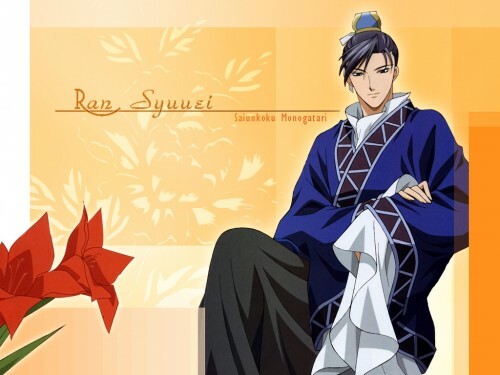 wah.. nice picture... ran really bishie! Kyaa! Syuuei he's so damn cute! Well, you should not judge by appearance, hopefully better in the anime.